Enter the lake you'd like, including the nearest city and state. Be as specific as possible so we get the right one! Feel free to specify whether you prefer landscape or portrait orientation. Complement this beautiful print with your own frame or hang it on the wall minimalist style. Either way you get to show of your lake life pride! Our poster prints are printed on heavy, matte finish paper in the USA at a small town print shop. We take pride in hand checking every order before shipping so that you get a perfect print showing off your favorite body of water. Hang a Lake Print on your wall at home, at the office, or in your boat house. 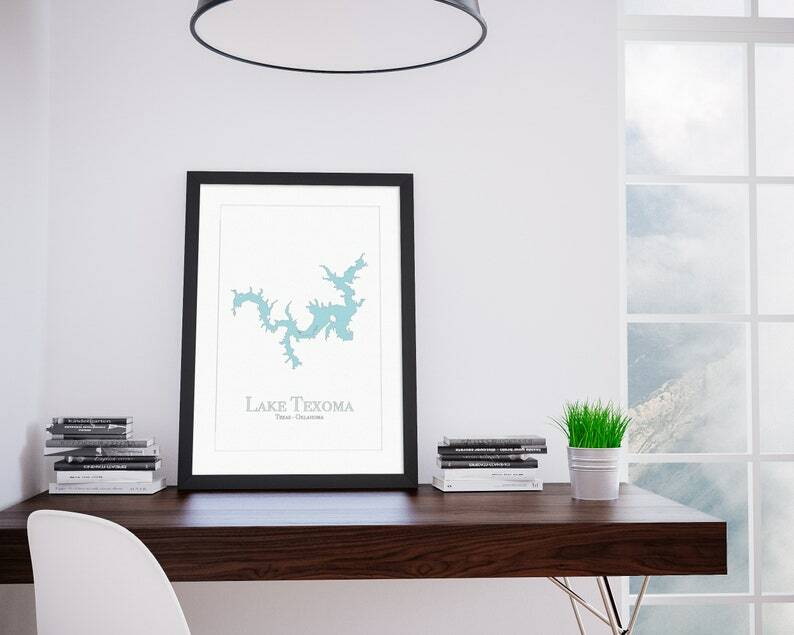 Lake Prints also make great gifts! We can custom design almost any lake! When you place your order, there will be a section to let us know what lake you want. Be as specific as possible here, we want to make sure you get the right lake! Fun Fact: There are 77 lakes in Michigan alone with the name Long Lake! If you have other requests, we can probably accommodate you but please message us prior to ordering. * This product is designed and made to order so it will not ship immediately. Normally your print will ship within 5 business days, however if you require expedited options, please message us prior to ordering. * This product ships flat via USPS and will not fit in a mailbox. Regular shipping within the US is FREE! Expedited shipping, international shipping & local pickup options are available, please message us prior to ordering.